We are a tandem of athletes skating gracefully, in perfect harmony. It is magical to watch. You will be mesmerized by our ability to move so quickly on the ice. Our spirit, momentum, skill and exuberance is intoxicating. We invite you to be a part of the MAGIC! 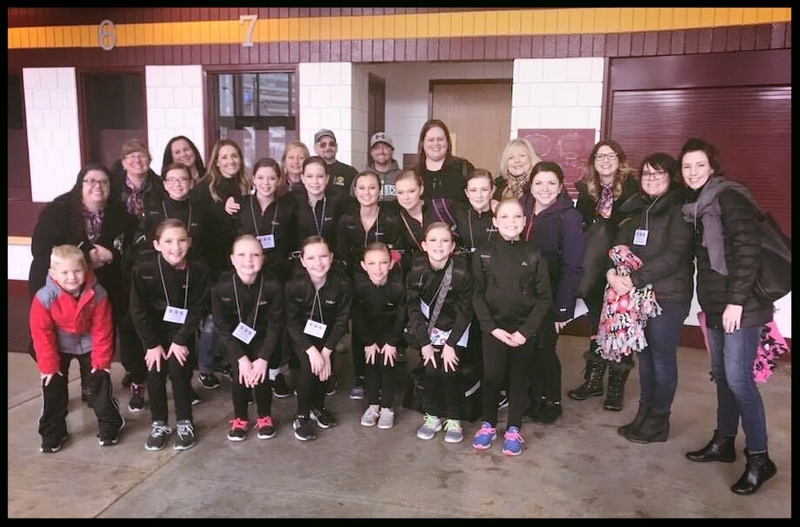 The Magic City Synchro Team welcomes all figure skaters! The variety and difficulty of elements require that each team member is a highly skilled individual skater. The typical senior-level athlete has passed a senior or gold test in at least two disciplines. Synchronized teams in the U.S. can compete in 14 different levels according to the age and skill level of the team members. If you are interested in synchronized skating, we are currently looking for interested skaters to join us for a new 2018-2019 season. Synchronized skating is the most popular competitive discipline in the qualifying structure of US Figure Skating. There are approximately 525 synchronized teams registered with U.S. Figure Skating, and nearly 5,000 athletes participate annually in the synchronized skating sectional championships. It promotes team spirit and club loyalty. Being part of a team that represents your club will create a sense of team spirit and loyalty among club members. Wearing team colors, cheering for teammates, and trading club pins are some of the most exciting parts of synchronized skating competitions. Skaters learn valuable life lessons: teamwork, discipline, dedication, sportsmanship, flexibility, and many more. Synchronized skating is a lifetime sport. Skaters can start synchronized skating at a very young age and continue the sport into adulthood. Synchronized skaters exemplify “skating for life.” There are three adult levels in US Synchronized Skating. The open adult, adult, and masters levels boast 60 registered teams with US Figure Skating. We represent the Magic City Figure Skating Club at USFSA sanctioned events. Our home rink is the Maysa Arena in Minot, North Dakota. Magic City Synchro is devoted to helping our youth develop positive and confident attitudes as well as self-discipline and self-awareness. It is these attitudes paired with selfless focus on teamwork that prepares them to succeed on and off the ice.